Sakimoto is a specialty shop of high quality bread. First, I eat it without anything. The crisp and soft toast has a little sweetness and is very delicious. Next, eat with jam or butter. 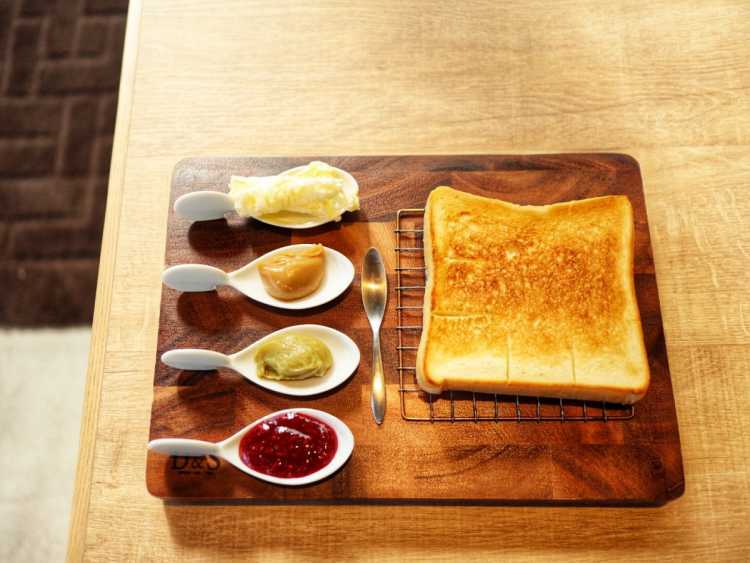 We can select one from 2 kinds of bread, and three from 16 kinds of jam, so enjoy various tastes!